Thread: Scott Spark RC 900 World Cup being built! Super stoked! I'm having my LBS build a Spark RC 900 World Cup for me. 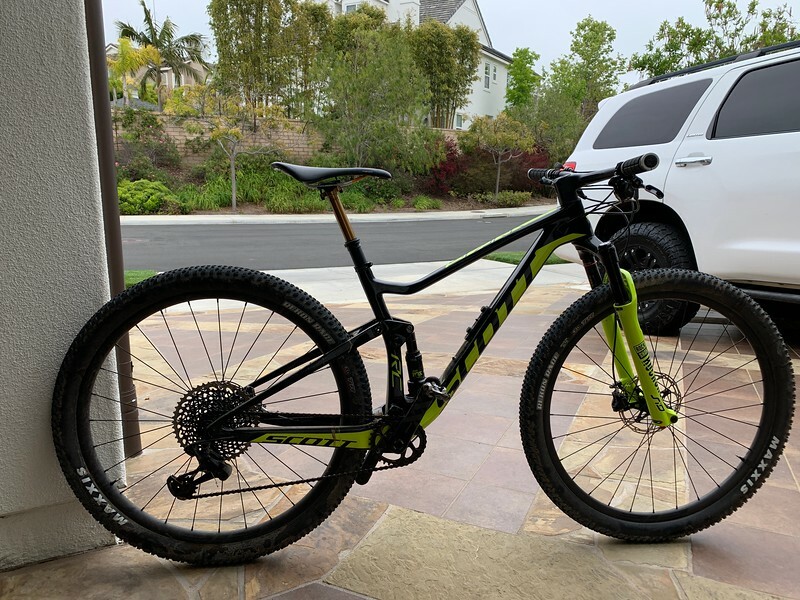 It was a long deliberation on which bike I wanted for my next XC bike as I come from a long lineage of Specialized Epics and Specialized bikes in general. They just fit me really well. It was difficult for me to defect. That said, there's also a lot of new competition in the XC space with the Lux, Blur, Sniper, Spark RC, and SB100. All of which I considered. It came down to a few different factors for me but the biggest reason for leaving the big S, I didn't want to deal with the Epic squishy shock syndrome. That and the seemingly large premium being charged. On top of that, my Scott dealer provided me a WC demo with no fuss. Something I could never get my Specialized dealers to do. The Spark RC 900 WC comes with a pretty impressive spec for the price too. Bordering online competitive pricing. 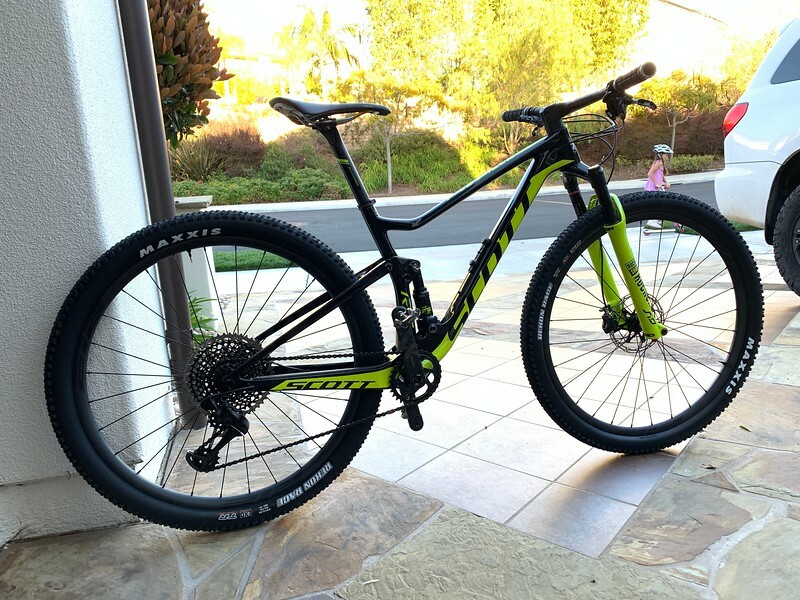 For a $6.2k price, you get an XX1 drivetrain, Rockshox SID RLC, and more than a few carbon bits! The one area that they saved cost on is the wheelset which look to be a SRAM Roam 30/40 or something similar. That's fine. I plan on replacing them with something carbon light build anyways. 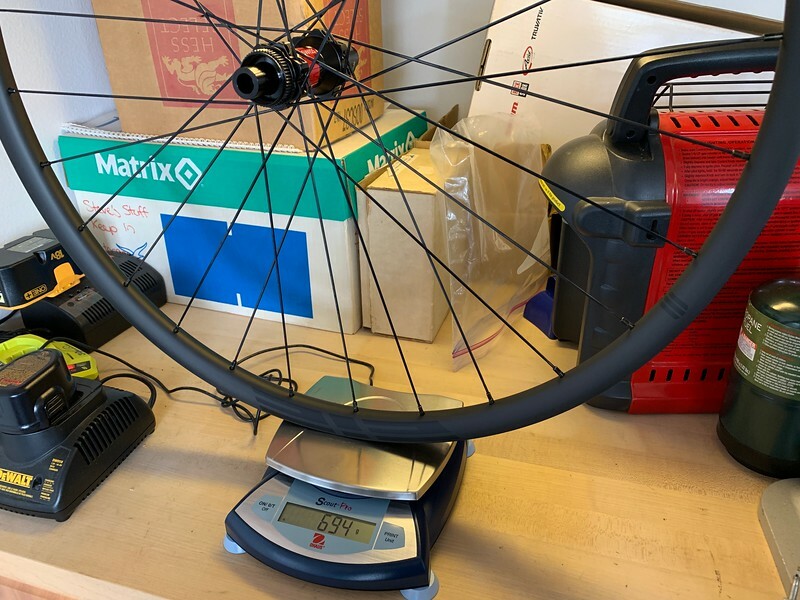 As my demo sat, tubeless and XT pedals, it weighed 23.3lbs. Here's a pic of my demo bike that the shop so generously let me borrow. 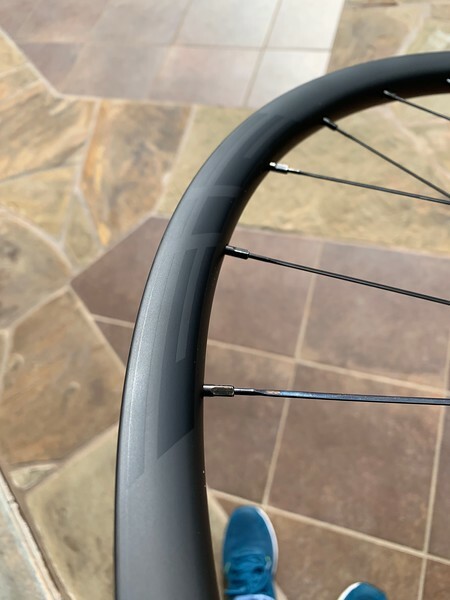 Wheels would be DT Swiss I'd think, since Scott own Syncros and Syncos wheels are rebadged DT Swiss on most bikes and actual DT Swiss on high end stuff. Question: How much Sag are you all running in the rear on the RC's? I ran about 22% sag. On a fairly standard ride, I used about 68-71% travel as measured (I typically use all or most on my Epic). That last 20-30% would seem to be difficult to access. Is that what others are finding? The ride seems stiff but not overly stiff. I ran the front around 18%. Thanks for the input. mik-git - As for the wheels, they seem to be using SRAM hubs. Possibly built up with DT rims and spokes. I can say that they are extremely quiet which is nice. 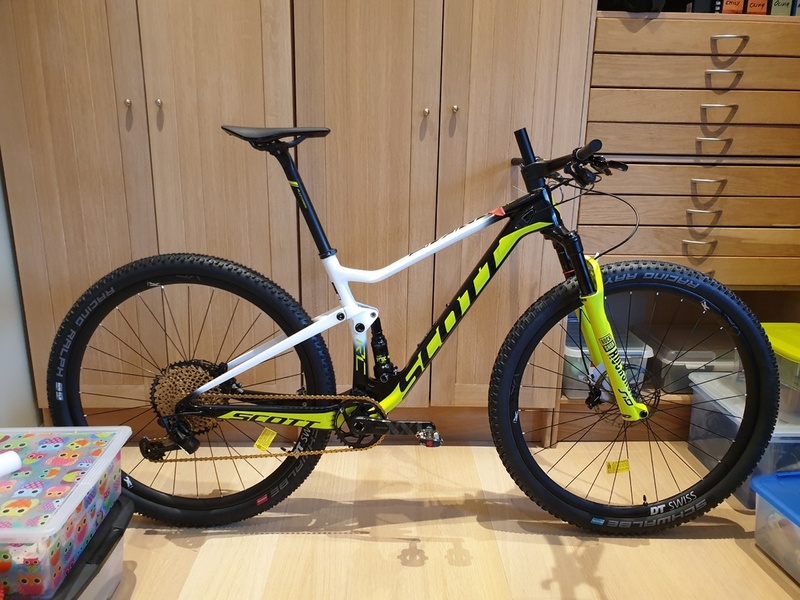 I'm building up my Scott Spark 900 RC World Cup N1no 2019 frameset as well. I also decided to give the new Look X-Track race carbon pedals a try. How did you like them on your test bike? Looks great. Sharp eye on the pedals. I took them off as I use SPD. I finally got mine built and took it our of the maiden voyage. Awesome bike! 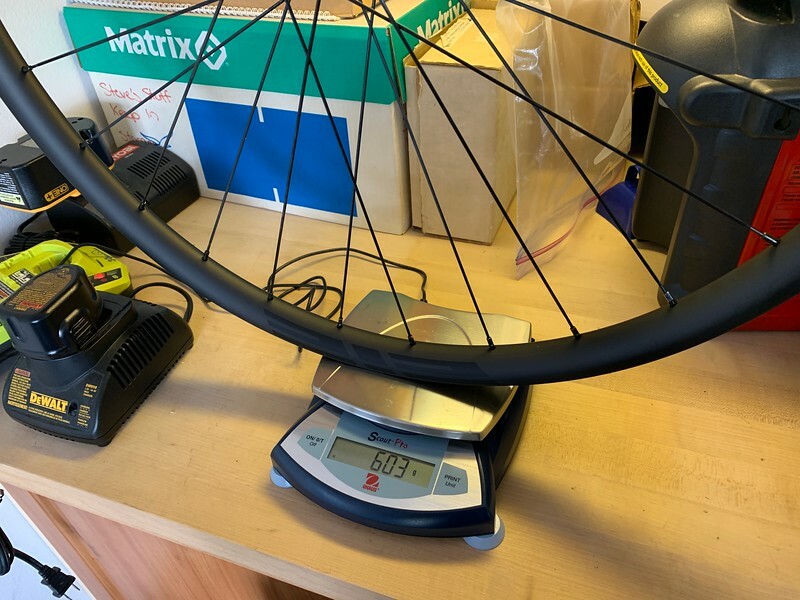 I put Ardents 2.4's on the stock wheels as I just ordered a set of carbon wheels from EIE which in theory should come in about 1300g or so. I'll put the Rekon Race tires on those. I'm still waiting for the dropper and lever. Nice bike! 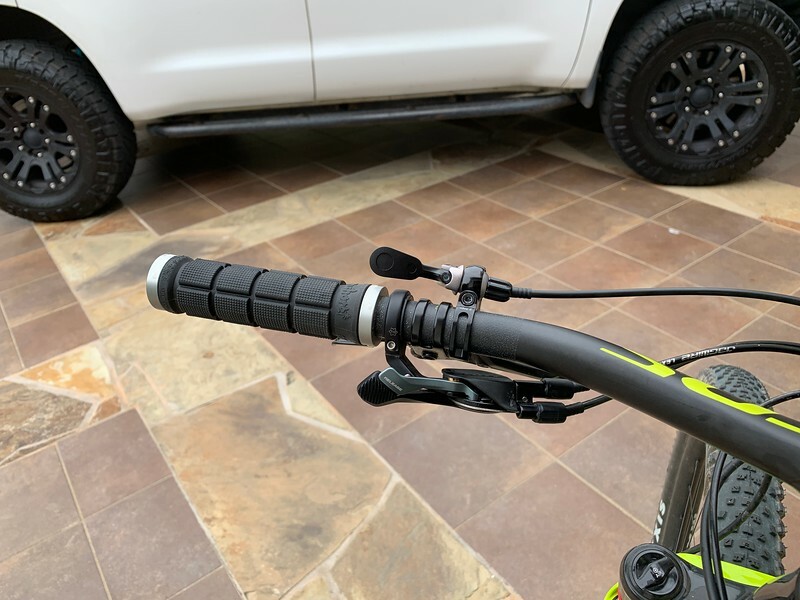 If someone sells his plastic Garmin mount that comes with a complete bike or Syncros Fraser handlebar, send me a message. How do you like the fork? 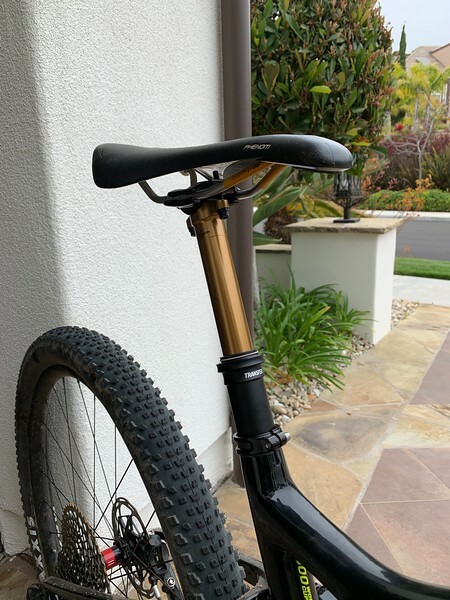 I've had the RockShox SID World Cup 2019 on my Scale, which was really great. When opening up the compression almost completely, the fork was very plush while being a lot stiffer than a Fox Step Cast 32, especially in technical sections. The SID RL3 on the Spark doesn't have the compression dial, wondering if it's to the plusher or firmer side. 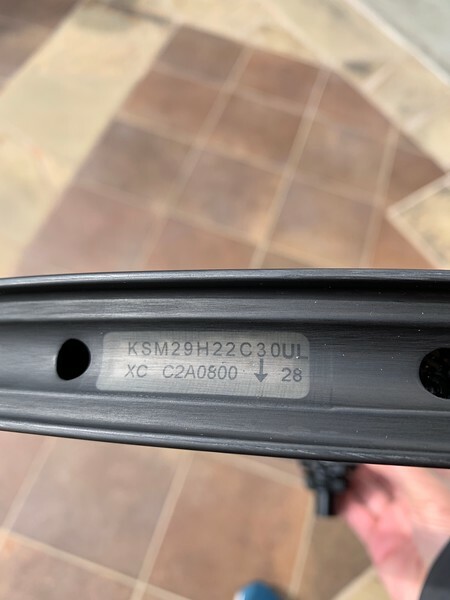 For the 2020 model, a new RLC3 damper is on Nino's & the rest of the teams bikes at the Cape Epic. The Look X-Track pedals are SPD compatible, and they offer a nice wide platform. The new Shimano XTR PD-M9100 pedals are so slim, it's almost like Crankbrothers pedals with Shimano jaws. Little platform left. Got new wheels for the RC! Ended up going with EIE Carbon. Came in total @ 1297g. Easy way to lose a pound off the bike. No voids, no burrs, well finished. I'm pretty happy with the way they turned out. That said, I'm adding a pound back with a dropper post but at least it's not rotational mass. Sweet bike! I just picked up a new 2018 RC 900 SL and can't wait to get it out on the trail. 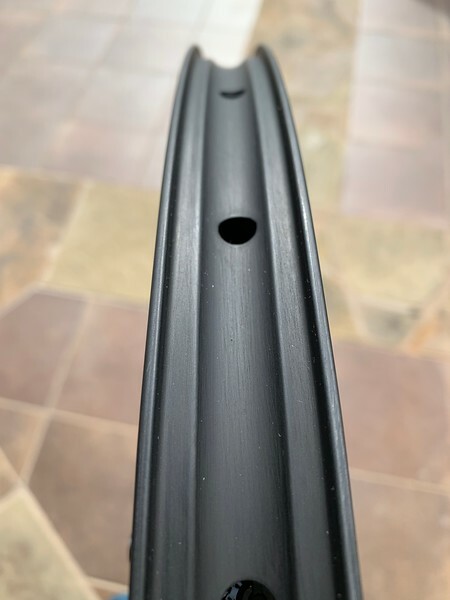 I'm looking at putting a Fox 32 step cast black fork on my N1no 2019 frameset. I would like to change the decal colors. you don't happen to know the PANTONE color of that yellow on the frame? Coming from Specialized over to Scott how would you compare the two bikes? What do you like/dislike. 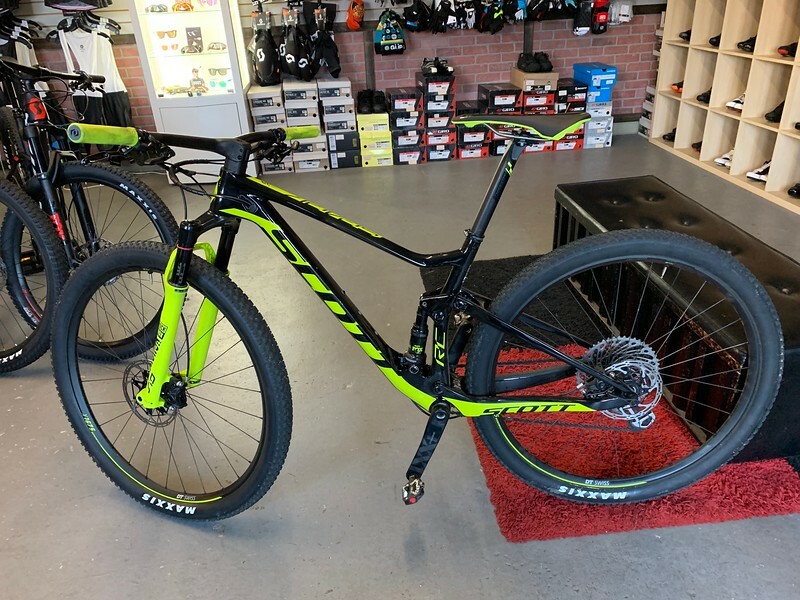 I'm looking at both of these bikes closely but our dealers are several hours away and don't stock most of the higher end carbon bikes. Thank you for any information you can provide. I always order custom decals from https://www.slikgraphics.com/ , I think he knows what pantone is to be used. I don't know the color code unfortunately. Just enter your request for the Scott yellow in the comment box when ordering. Well, I used to have about 10 S-Works Epics, the latest being the 2014 WC model. 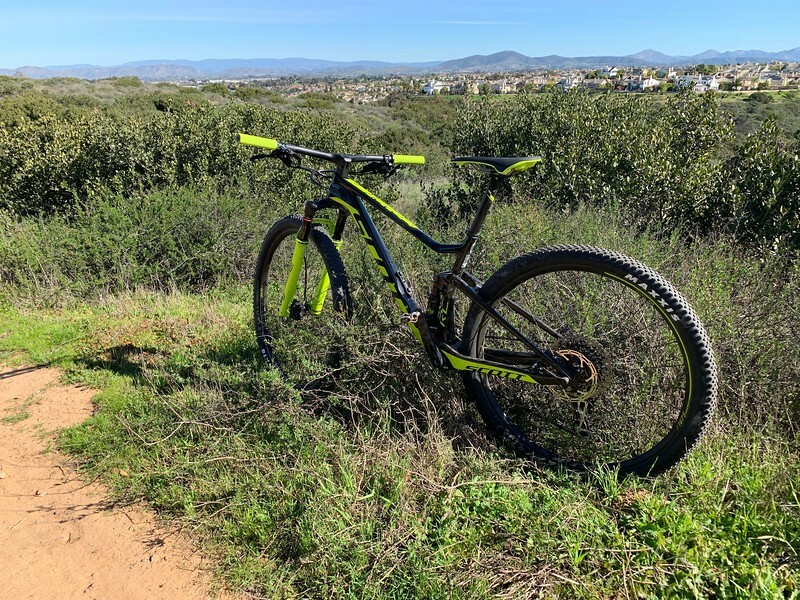 The Epic more rides like a hardtail that absorbs big bumps, while the Spark more rides and feels like a true full-suspension. Moving to the Spark I was worried about not having a Brain damper anymore, and having to switch all the time between dampers modes. how could I be more wrong? 90% of the time it's in 'traction' mode, only on bigger drops or rough stuff I switch to 'open' mode and... when I get tired and don't have the energy anymore to get out of the saddle for bumps or holes. Just leave it open and enjoy the comfort. This is where the Epic will wear you out. What I can recommend though, is installing Jagwire Elite Ultra Slick shifter cables for the front and rear lockout. The lockout lever will require significantly less force when pushing the lever. Replacing the rear lockout cable is another story though, I can always give some advice when needed. 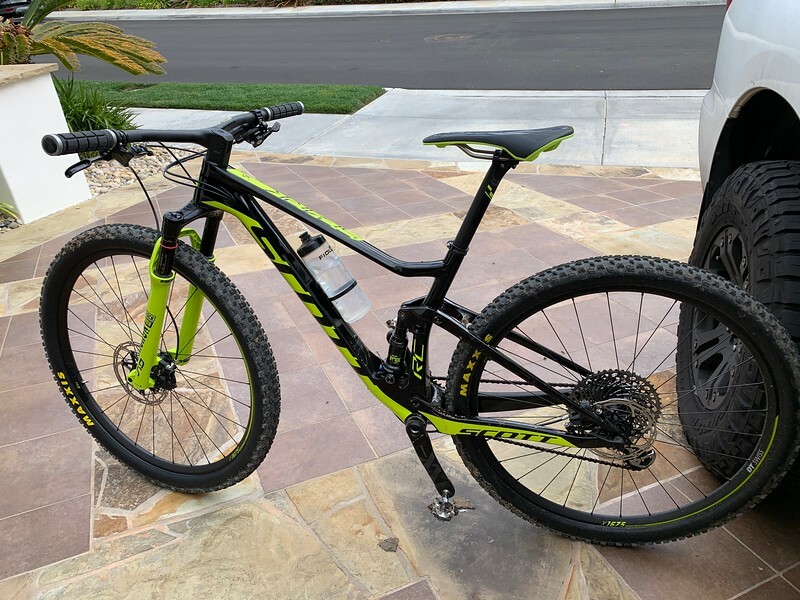 I have both a 2011 Epic Expert EVO 26" and 2012 Epic Expert 29". I personally love the Epic platform feel. I was never bothered by the felt "knock" of the suspension. Both Epic brains were set in the middle setting. Comparisons are difficult because of the 7 year technology gap and to be honest, comparing the two isn't really fair. After logging a solid two and a half months worth of rides on my Spark RC, my Epic felt straight-up broke. I kept looking down and stopping to make sure everything was tight. The 9mm QR skewered SID flexed like a wet noodle, the frame creaked, flexed, and just seemed messy. It sounds crazy but the new technology is just that good. That said, I have demoed the new 2018 Epics on a few different occasions so I'll compare it to that. The 2018 Epic Brain is pretty awesome and very seamless from previous versions. The Epic frame feels responsive, light to pedal, very efficient energy transfer from the pedal to ground. The new Fast Trak tires had surprising amounts of grip and feel over the previous versions. The overall package worked really well (tested both expert and pro). I was completely sold. I actually tried to purchase one but was unable to get one from the shop I normally patron at a price I was comfortable with. As for the Spark, first let me give props to Revolution Bike Shop for allowing me to Demo the Spark RC900 WC for a few days. Highly recommend them. So my primary concern was the pedal platform. I didn't want a bike that bobbed and I had no experience with flipping levers. In comparing the Epic to the Spark RC, the first thing you will notice is that the Spark frame feels stiffer. It's a hammer. The Epic actually had a perceived lighter on pedal feel which I attribute to the the Spark frame being so stiff. 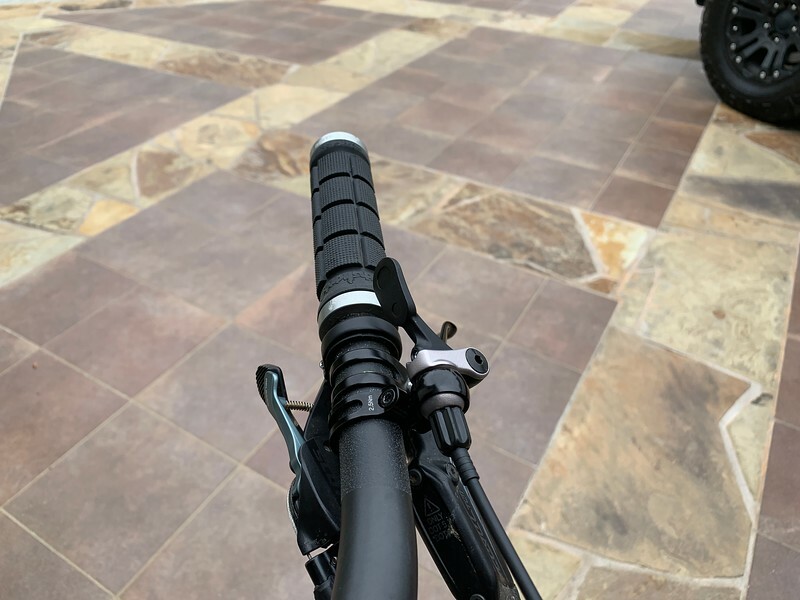 But after two and a half months of ownership, I'm used to the stiffness and I don't give the Twinloc levers or not having a brain (shock...) a second thought. 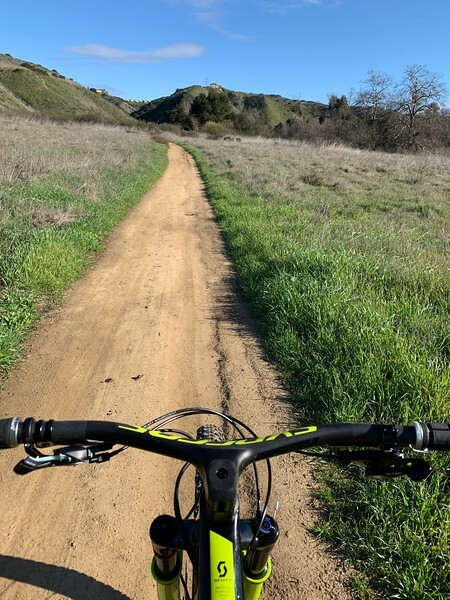 I'm not flipping the levers 160 times per lap like Nino but I find myself riding in open 80% of the time, 15% in the middle, and 5% fully locked. The open mode is very supportive (@ 20% sag). Typically locked is for asphalt duty, the middle setting for uphill fire roads. Everything else I generally ride open. I've never counted but I probably flip the levers 30 or so times per a 12-15 mile ride. I love the Spark RC. In the end, both the Epic and Spark RC were easy for me to just get on and ride fast. There were no oddities in frame geo or suspension. Nothing odd I had to get accustomed to. I was able to get into the lever routine easily. Neither Epic or Spark had traits I would consider lacking. Last weekend, SC had a demo day and I tested the Blur trail. Another solid bike. Climbed well, stiffness similar to the Epic except more active in the suspension. The lock out isn't a true lockout and the annoying part was trying to determine which mode I had it in. The only way I could tell it was open was from the front shock making a swooshing sound vs none (semi-locked). Annoying but overall a good bike.